My brother's wedding this past weekend was absolutely beautiful. I wish I had taken more pictures of the decorations from the wedding because it was all really pretty, seemed like every detail could have been straight out of Pinterest. They had a fairly trendy barn wedding in the country near Madison, Wisconsin, which I think is funny because they aren't the type to really care about trends. They decided they wanted to get married in a barn, and then were super surprised when all of the barns for miles around were booked for weddings. With the lovely bride. Even though we were getting ready with the ladies, my sister and I were technically the groom's attendants. I'm glad we were in the lady room though, because we got to sip on champagne while the men did shots of whiskey. Our own photo session between the professional photos around the barn. You know, just posing with an old windmill, totally normal. Waiting around before the wedding - you can see some of the bottles covered in twine that we were working on for months. I think this was during their vows. I had the boyfriend take some pictures during the ceremony and he did a great job capturing everything. See the huppah behind them? My dad made that! I told him he needs to start an Etsy store. The most normal photo boyfriend and I managed to take all night. You know, the ush. The barn looks really pretty with those strung lights! Sounds like a beautiful wedding. 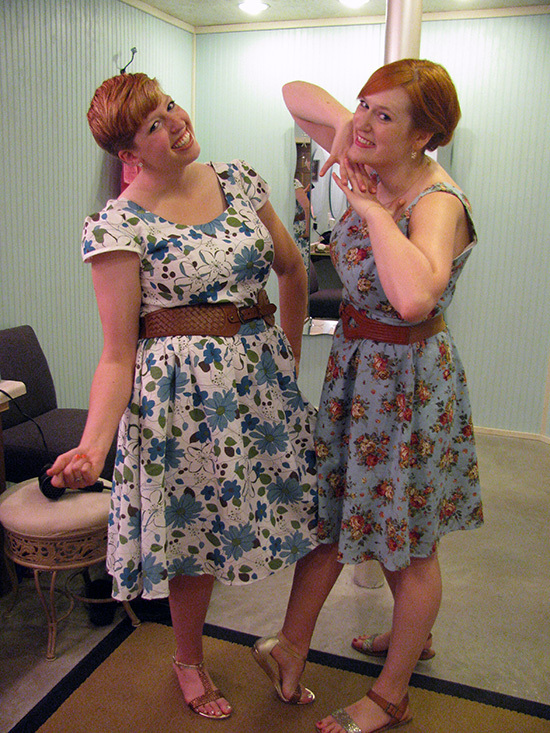 Ah your dress (and your sister's) are too cute- very country and summery! What a fun wedding–I love how you got to wear those floral dresses. You looked so pretty! 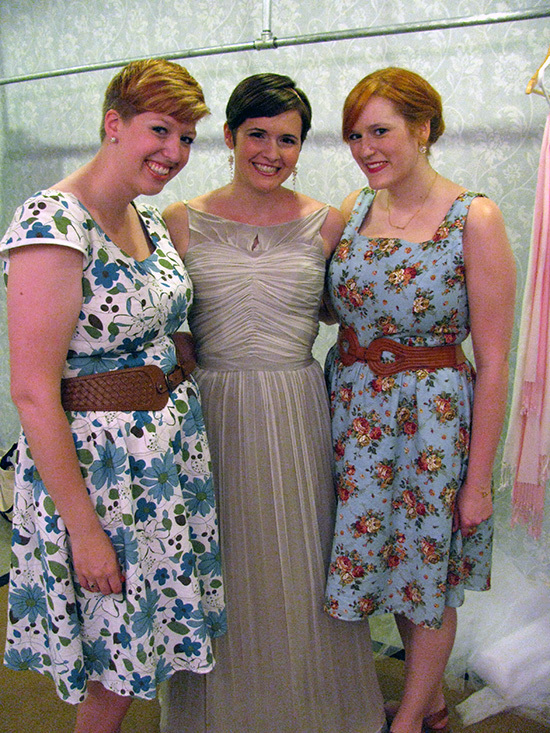 You/ your sister, and the bride all look beautiful! The pictures of you and your boyfriend are definitely typical of us...except I'm usually the one making a face lol. Wow, your dad really is talented, he should start an etsy shop! You are too funny! You and the bride (as well as your sister) all totally look alike! ahh congrats to your bro! looks like you guys had a great time! Congrats to your brother! Love your dress in this. Looks like it was an amazing time! These wedding photos are super fun, love how you dressed up in flirty floral dresses! And thank you dear for sharing your look with Monday Bloom. Love your pictures! I love how you did the floral with the brown belt. It's really cute while matching the theme really well. 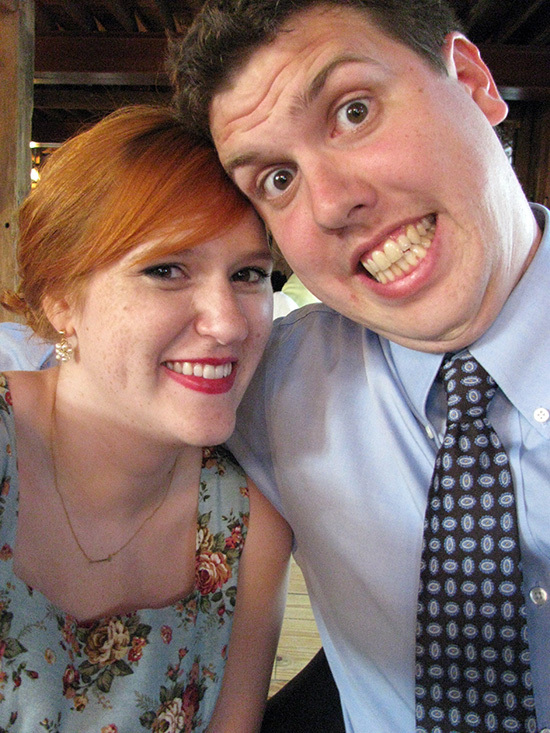 I went to a wedding at a barn last year, and it was a blast!